The excitement of buying a new car is often short lived once you have to go through the hassle of searching for the car you want at a price you can afford. The new, new car feeling is the Georgie feeling; where they take care of finding the right car, negotiating a great price and even having it delivered to your home. 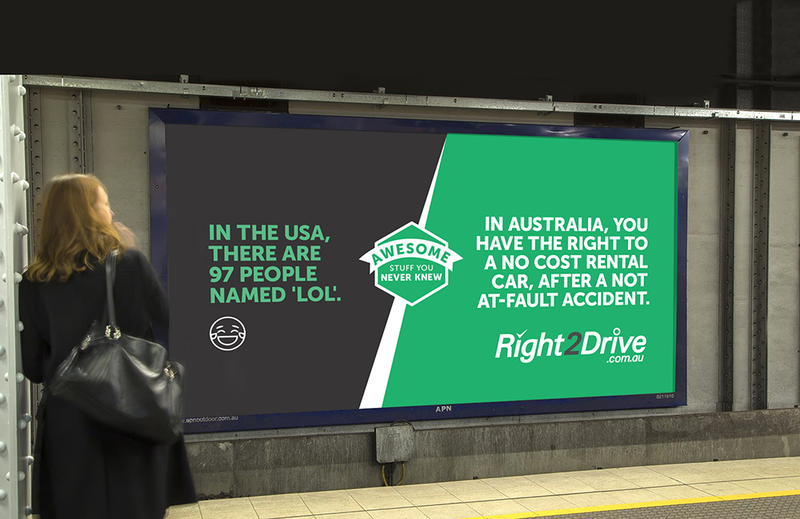 Right2Drive were built entirely upon a legal right that most Australians aren’t even aware of. When we learn an awesome new fact it’s hard to forget it. Like the fact that cows have different accents, humans share 50% of their DNA with bananas, or the fact that you’re entitled to a no cost rental car after a not at-fault accident. An investment in property is usually made to secure a long term future, but for many it's also an investment in uncertainty, financial pressure and added responsibility in the short term. The new Look Forward campaign showed investors that they can have the best of both worlds; a bright future and everyday needs taken care of, giving them the freedom to look forward to tomorrow and today. The epic contrast of scale experienced during a visit to a national park like Scenic World leaves you in awe. 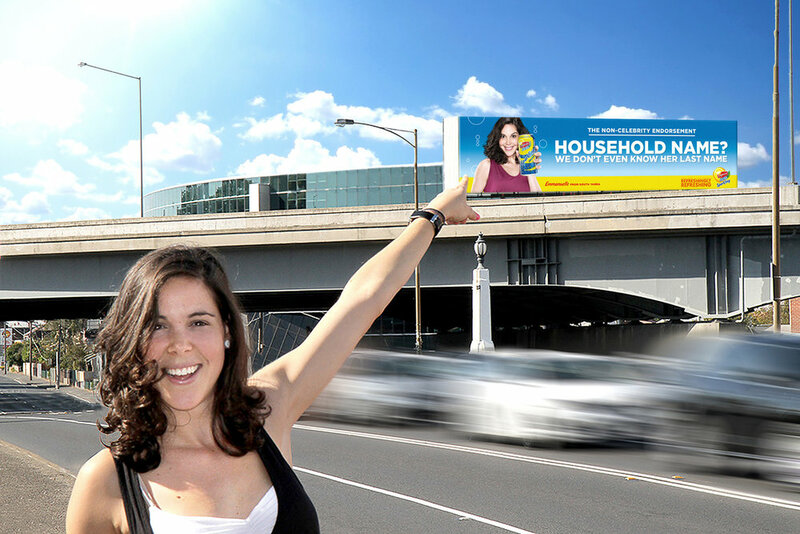 Feel Small Again expressed the emotional response through an integrated campaign across OOH, Radio and social. Existing baby brands paint a world of giggling, perfect babies, but most new parents experience the opposite and often feel helpless and alone. 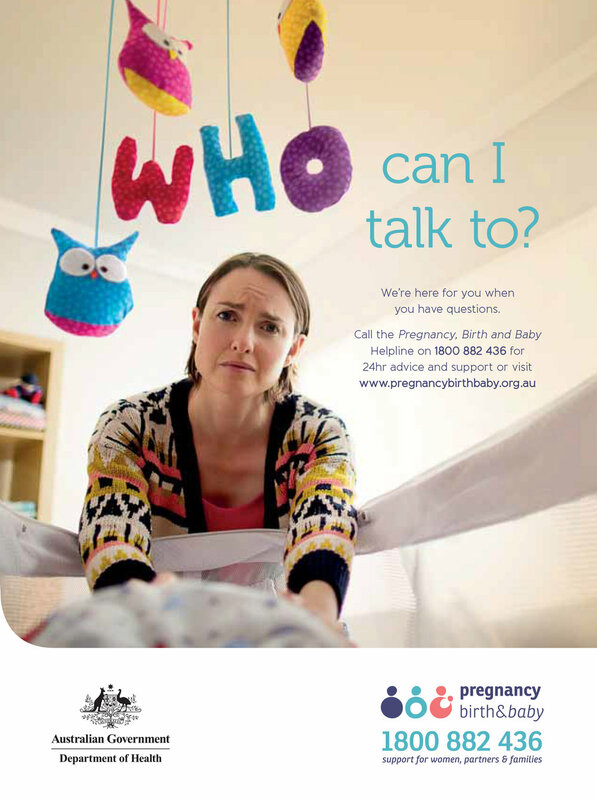 Turning the Huggies style happy mum image on its head, we shot the TVC from the point of view of the baby to capture the real emotion and concern of new parents, who are faced with more questions than they ever expected. Mental health issues affect 1 in 5 Australians, but it can be challenging to recognise the signs, let alone address them. Many campaigns target the sufferer, but our research found that their friends and family are often better placed to identify a change in behaviour resulting from a mental health issue. However, they weren't always equipped to start a conversation about it. Spot the Difference is a call to action to recognise the change when a loved one isn't themselves anymore. The radio spot was also recognised as the Sirens 2015 Client Award and Round 2 winner. The new Volvo S60's 224kW of power is a feature not normally associated with the brand's 'safe' positioning. We created a radio spot that showed that the Volvo S60 wasn't just surprising drivers, but that the Sat Nav also couldn't keep up. The spot was a finalist at One Show, 2012.